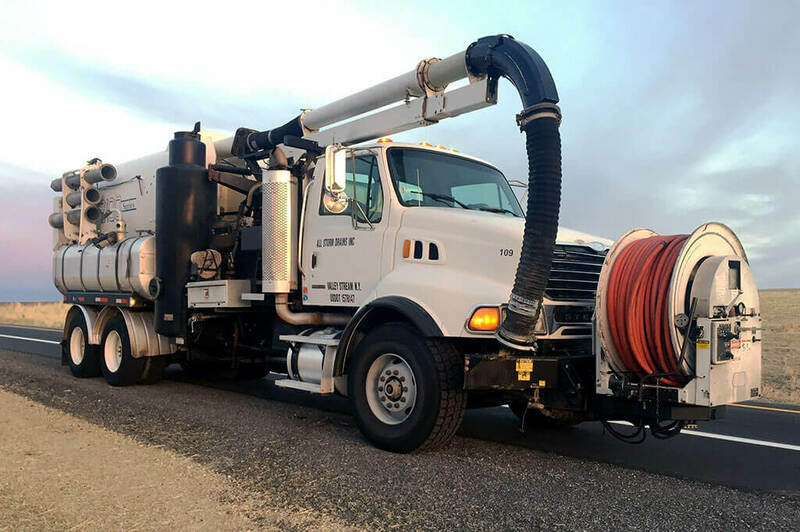 Catch Basin Repair Services, Long Island, All Storm Drains Inc.
Catch Basins often referred to as Storm Drains, essentially catch rainwater, dirt, and floatable debris. Floatable Debris can be organic and inorganic materials. Examples of organic material leaves, sticks, soil, and grass. Examples of inorganic material are things like plastic bottles, coffee cup lids, Styrofoam or extruded polystyrene foam, cigarettes, even car parts. There are metal hoods that cover the outflow pipes. This keeps most foreign material in the catch basin. Now some older catch basins dont have hoods on the pipes going to other drainage structures which allow floatables to escape the catch basin and infiltrate other structures such as dry wells, inverts, head walls, sewer systems. 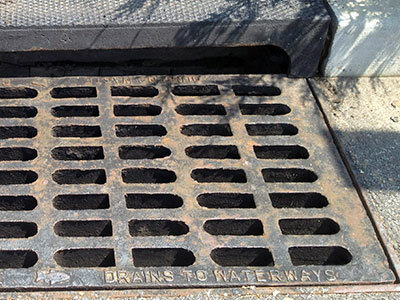 Catch Basins can flow directly to a sump, brook, creek, river, lake, bay, and sometimes right to the ocean. 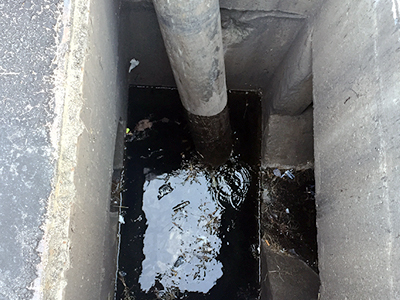 It is not uncommon to find used engine oil, antifreeze, and other common solvents and toxins inside of catch basins. I have also found animals stuck in these drains, bullfrogs, a snake, big turtles, fish, and crawfish. I even found my cat Stormy, he was less than two months old stuck in a storm drain. 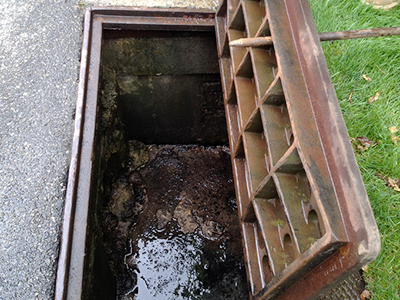 Keeping toxins out of Catch Basins and storm drains is very necessary for the environment. 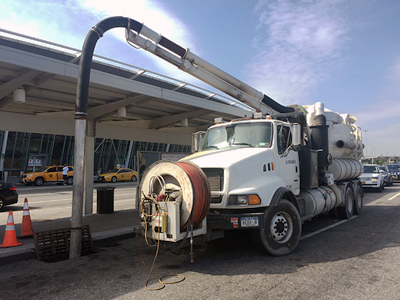 Having a reputable company clean your catch basins, storm drains, dry wells, outflow pipes, is also critical. 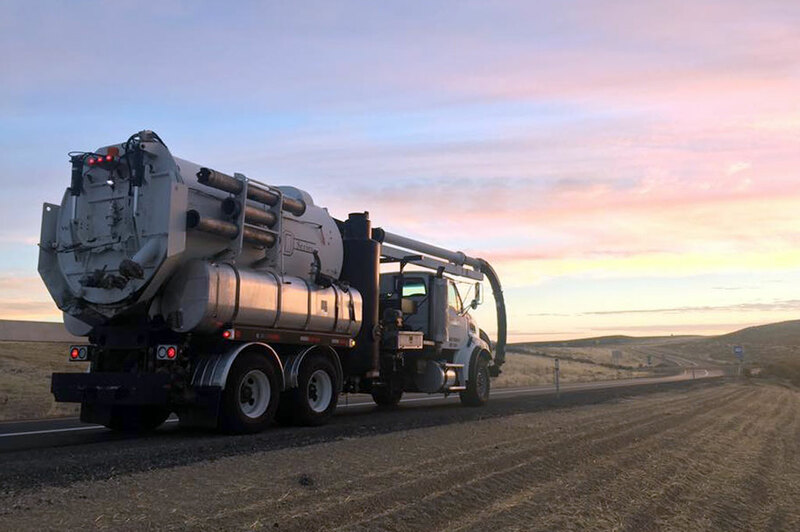 When a business cares to clean a drain correctly and dispose of the material correctly it keeps the environment healthy which benefits all ecosystems, our food, water, animals, and even each other. 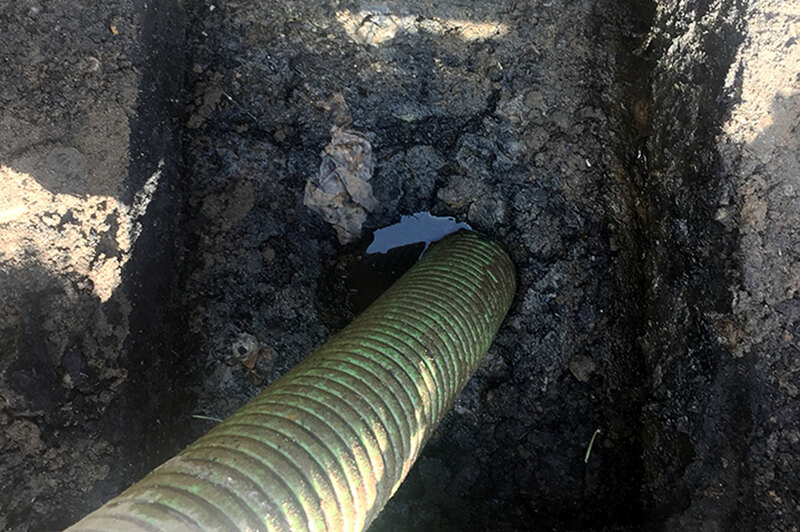 In some cases the bottom of a Catch Basin is solid, other times they have, what I refer to as a weep hole that leaches rain water directly into the sand below the floor. There are catch basins that have a footing under them which supports the outside walls all around. This allows the majority of the bottom to leach water out as well as through the pipes. The benefit to having a leaching catch basin is that water won't sit for a long time. When water sits it stagnates and allows for mosquitoes to breed. 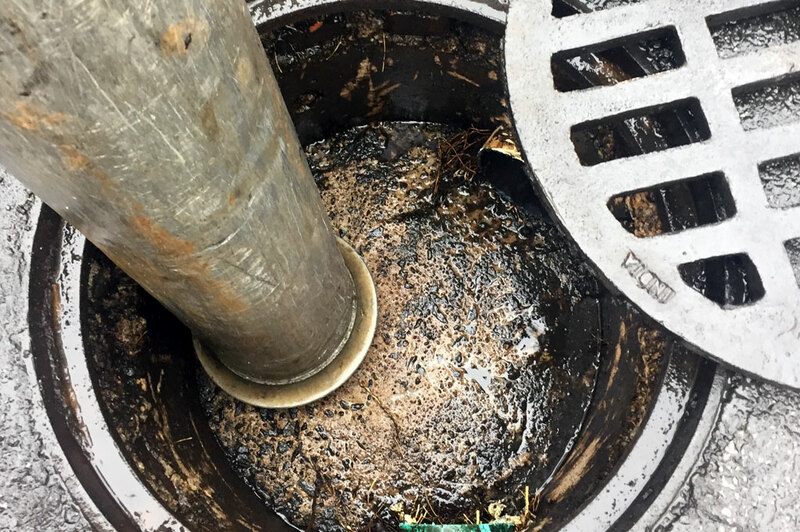 This is another reason to keep drainage Catch Basins clean as well as any other storm drain, dry well, scupper, and drainge structure that collects rain water. I have found refrigorators, truck tires, tables with chairs including cards and a full poker game set up at the bottom of catch basins in Nassau and Suffolk County as well as the Five Boroughs. Knives, flashlights, guns, adult materials, amongst other questionable things. 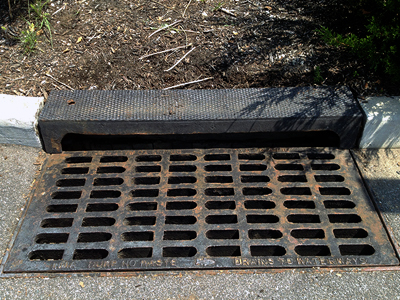 Never enter a catch basin, a storm drain, or any other drainage system. 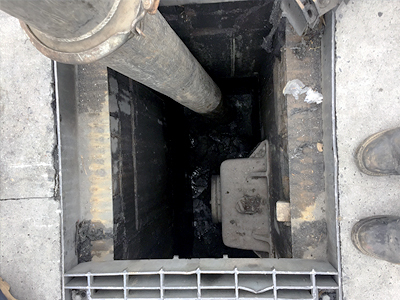 Gases such as methane can settle in any storm drain and also eminate from any organic material breaking down on the bottom of the catch basin or drainage structure. Only certified confined space entry technicians with all proper PPE (personal protective equiptment), along with all other confined space entry safety protocols in place, should ever attempt to enter a confined space. Broken concrete, protruding rebar, asphalt, blocks, bricks, broken steel manhole covers, are just some hazards I have come across. 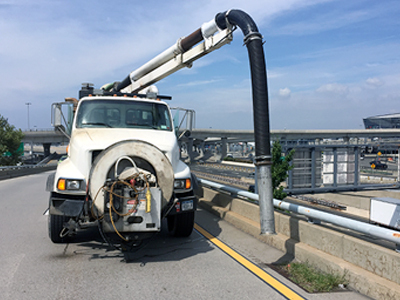 Please contact All Storm Drains Inc. today for all your Catch Basin repairs or service needs in Nassau & Suffolk County Long Island.